A number of amplifiers marked as Harris 0130-211013 but sold as Qbit model 512 amplifiers have become available on eBay. According to the seller, these amps are "2 MHz to 500 MHz having 10 dB gain with 300 MW(25 dBm) P1 output power. Psat is nearly one watt." The input voltage is 15 to 24 VDC. It draws about 96 ma at 15 volts, and doesn't change much as the voltage is increased to 24 or lowered to 13.8V. Gain does not seem to drop when running from 13.8V, but I suspect the compression point might lower. 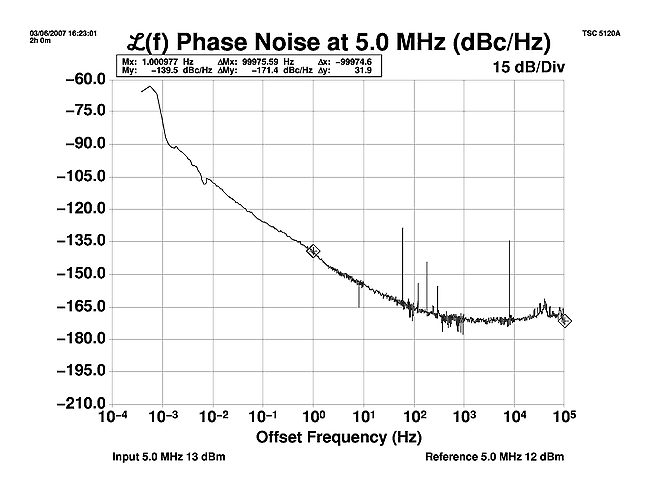 The noise figure at 100 MHz is 5.5 dB measured on an HP 8970 meter.